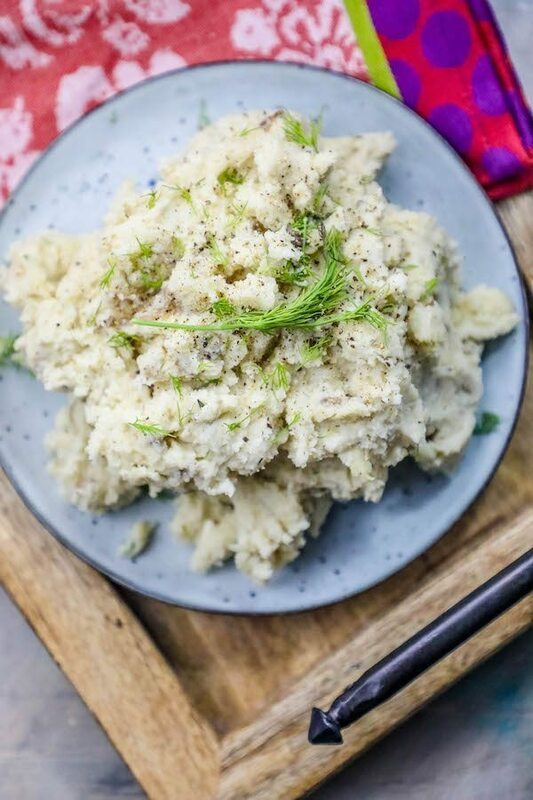 10 MINUTE INSTANT POT MASHED POTATOES are the recipe you need to bookmark this holiday season! Creamy, delicious potatoes in no time – and they won’t take up precious stove space! During busy holiday preparations, things get crazy. There are always tons of things on the stove and in our oven at our house – and somehow, we always run out of space for everything. While mashed potatoes are super simple to make on the stovetop, I NEVER have enough room to make them- from boiling water, keeping them hot, etc. on big days – and we always start them too late and need them done lightning fast. 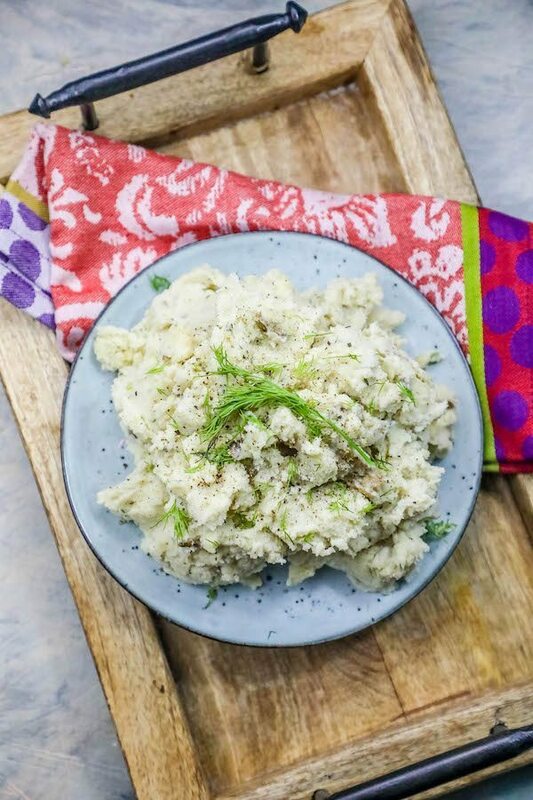 These easy Instant Pot Mashed Potatoes are great since they dont use up precious stove real estate, you don’t have to wait for water to boil, or prep anything fussy – just pop in the ingredients, wait 8 minutes while they cook, and then mix everything together! 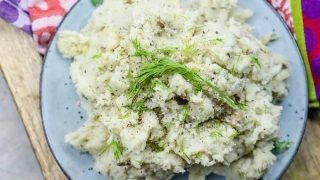 I am adding dill in this recipe since we love fresh dill, but I am also adding other herbs or different flavors you might love more! 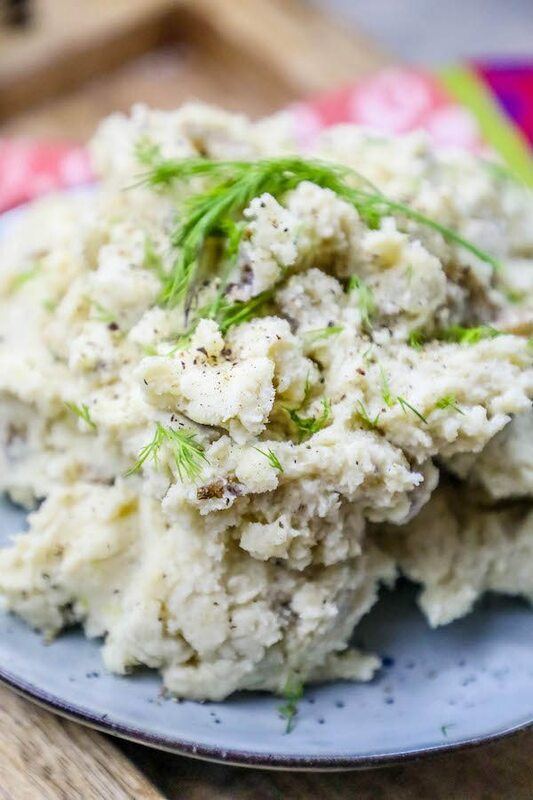 -Add thyme, rosemary, and oregano for a fresh Italian take on mashed potatoes! -Cook your potatoes in chicken stock (like I always do) instead of water for more flavor. -Add 1 cup shredded sharp cheddar, or grated parmesan, when potatoes are whipped for a cheesy, delicious take on a classic! 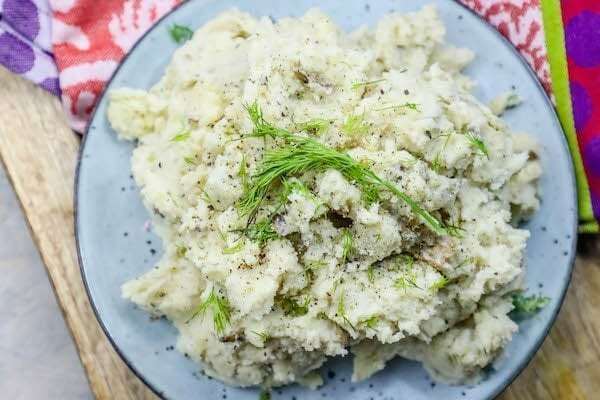 -For Vegan Instant Pot Mashed Potatoes, use unsweetened almond or rice milk intsead of cream, as well as butter, and veganaise. Place potatoes and stock in Instant Pot. Set to high pressure, sealed, for 8 minutes. Add additional ingredients, and blend with a handheld mixer until light, fluffy, and smooth.